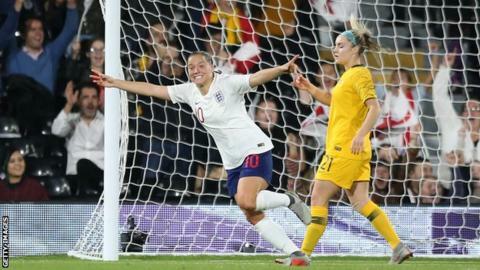 England will host the 2021 Women's European Championship, Uefa has confirmed. The Football Association was the only bidder but had to meet strict guidelines before being awarded it by European football's governing body. FA head of women's football Baroness Campbell said: "This is fantastic news for the FA, the country and for the development of girls' and women's football in England." The final will be held at Wembley. Eight other venues were included in England's bid, alongside the national stadium. The other cities and stadiums to be used are Brighton & Hove Albion's Amex Stadium, Brentford's Community Stadium, MK Dons' Stadium MK, Manchester City's Academy Stadium, Nottingham Forest's City Ground, Rotherham's New York Stadium, Sheffield United's Bramall Lane and Southampton's St Mary's Stadium. England previously staged the tournament in 2005 at venues across the north-west of the country with 29,092 watching the hosts' opening win against Finland in Manchester a record for an opening group match. The draw for next summer's World Cup in France will take place at the Seine Musicale, near Paris, on 8 December and be shown live on BBC Two.